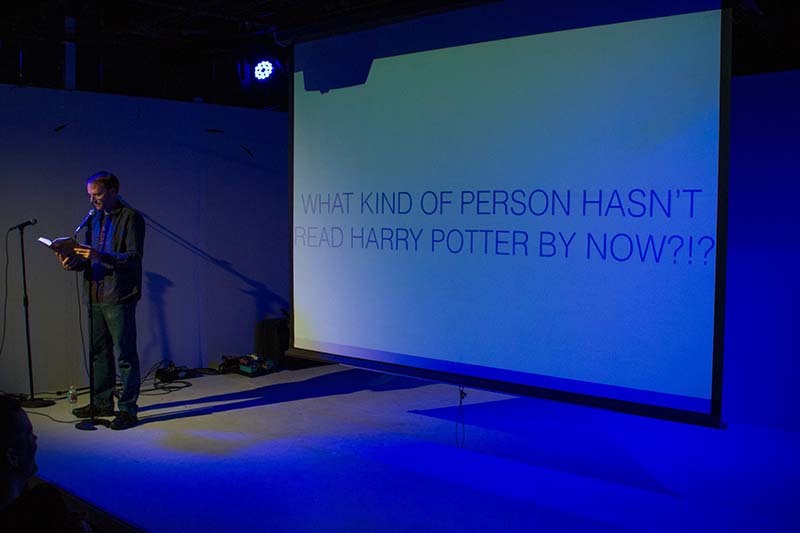 As the audience for the August “Weird and Awesome” were loaded into the theater, I started reading – from the beginning – Harry Potter and the Sorcerer’s Stone. 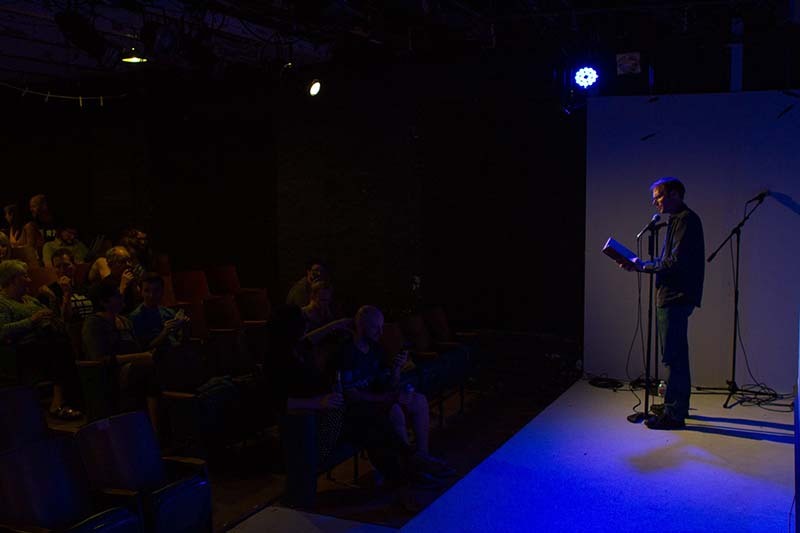 I did my first show with Annex Theatre when I was 23. I was the youngest one in the cast. People would tease me about my age. And I would remind them how old they were. I’m older than most Annex staff and company members. Our pop culture is different. They don’t understand why the socio-economic difference between Go-Bots and Transformers is important. And I don’t know what a Pokemon is, or how you catch them. At a late-night party recently, someone dropped a Harry Potter reference into conversation. Because I have never read Harry Potter. Nor have I seen any of the movies. All of the 20-somethings in the room were aghast with shock and horror. OMG HOW HAVE YOU NOT READ HARRY POTTER?!? And that felt slightly unfair. I have no excuse. I am not anti-Harry Potter. It was just never on my radar. WHAT KIND OF PERSON HASN’T READ HARRY POTTER?!? YOU HAVE TO READ HARRY POTTER!!! Who had just made fun of me. So I made a deal with her. I will read all 7 Harry Potter books. Books that were important to readers of her generation. If she read the entire series of books important to readers of MY generation. We agreed to complete our reading challenge before the end of the year. And present a book report on stage. I apologize for any mispronunciations. Tagged annex theatre, weird and awesome. Bookmark the permalink.